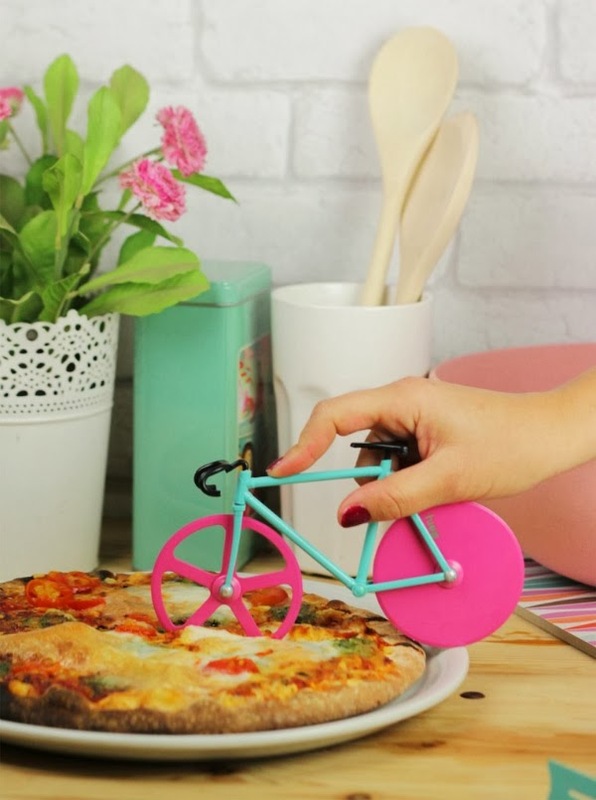 I love riding bicycle! 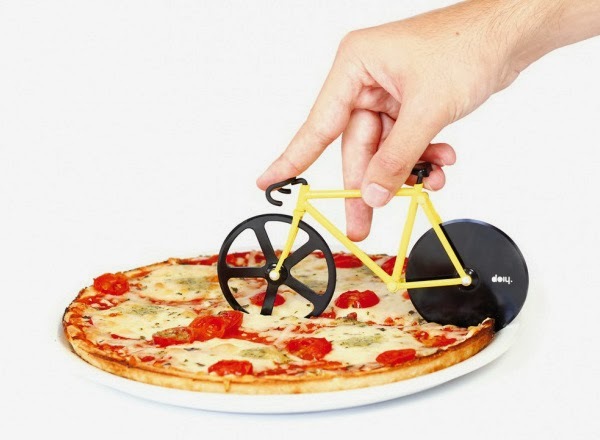 and I love eating pizza!.. 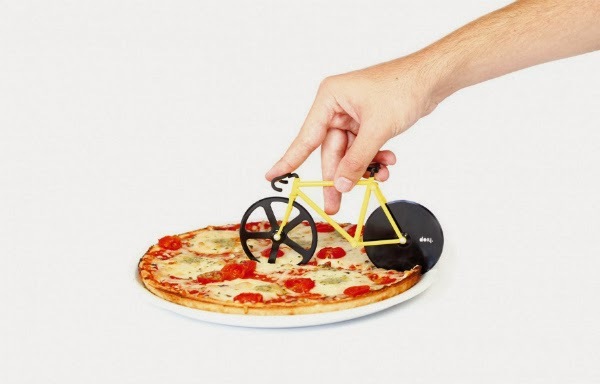 What if I can cut my favorite pizza with a bicycle wheel? 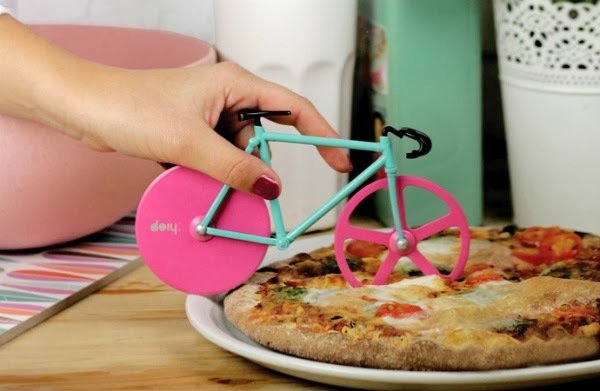 Bringing together both riding bikes and eating pizza, Doiy has came up with a unique pizza slicer in the shape of a bicycle, with its two wheels functioning as the blades. 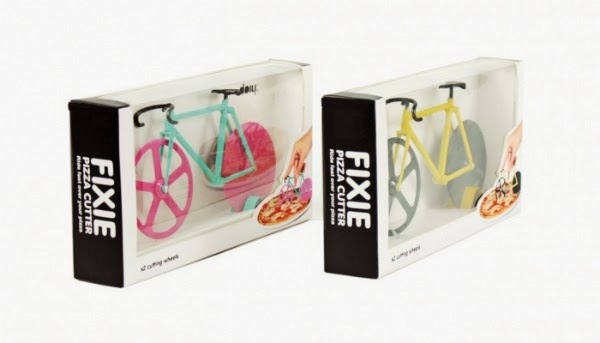 Fixie is a complete set of miniature bicycle with handle bar, seat and double sharp cut discs. 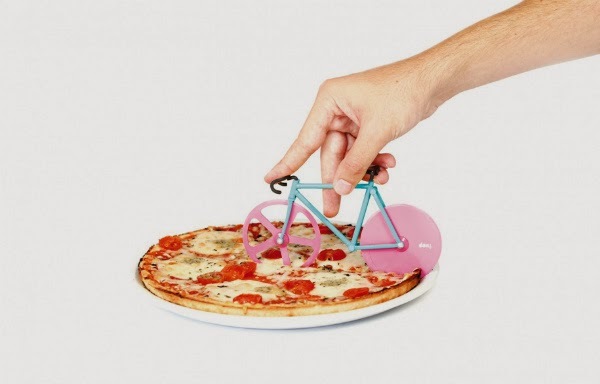 The Fixie Pizza Cutter will add a cosmopolitan touch to your Friday nights with Pizza and friends. 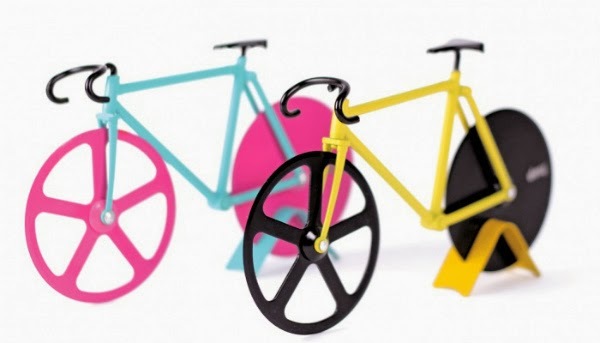 There are two different product types: Watermelon (mint and pink) and Bumblebee (black and yellow).